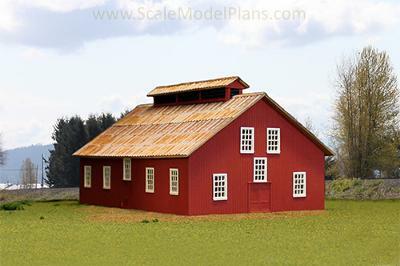 I was in the process of looking for interesting rail yard buildings to add to the collection, and at the same time I have been practicing my skills with Evan Designs Model Builder software, (which I originally discovered on your site). The result was a machine shop from the East Broad Top Railroad in Pennsylvania. When I read about the restoration activities of the Friends of the East Broad Top group I became even more interested. 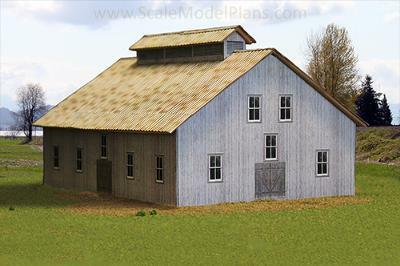 My first project was the machine shop done entirely in Model Builder, which I did in weathered gray siding and one of the MB metal roof patterns. When I discovered that the restoration group had repainted the building to a red oxide color I decided to repeat the project, this time, to be different, using scaled siding from Northeastern, but I could not find a roofing idea that was any more suiting than what I had used in the MB version. I decided to do the roof of the wood structure in a Model Builder pattern. I went one step further by 'corrugating' my roof material with a Fiskars crimping tool. I think that the combination of materials worked out well, and I'm planning on doing more experimentation in the future.